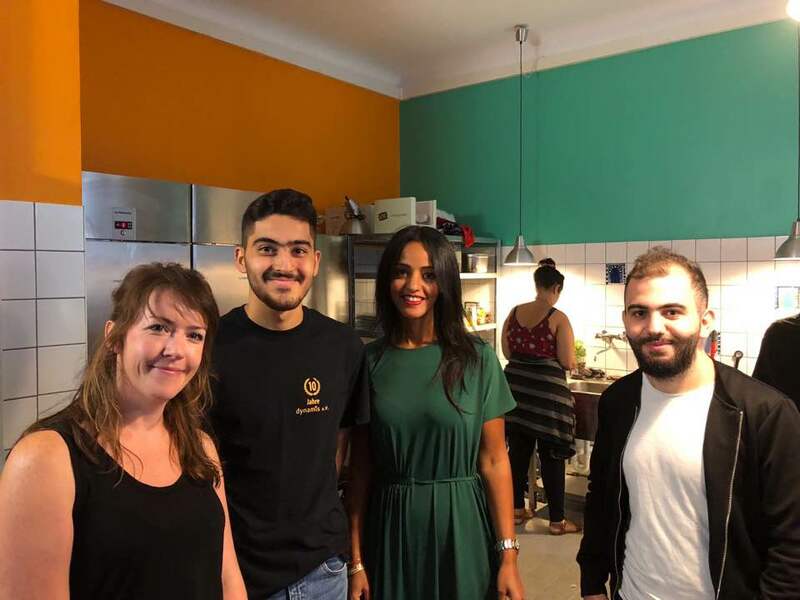 Throwback to this Saturday when German politician and the State Secretary for Federal Affairs Sawsan Chebli came to visit us during the Berliner Freiwilligen Tag when we were doing a Saturday session of GSBTB – Open Kitchen. 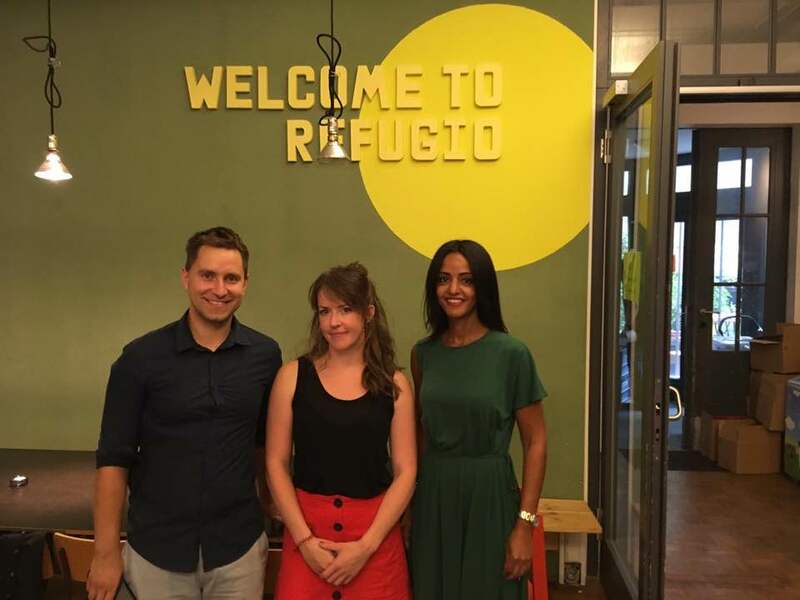 It was a lovely visit and Sawsan, who’s a daughter of Palestinian asylum seekers, switched between Arabic, German and English and got her hands “dirty” cooking up a lovely meal in the Refugio kitchen! Hope to have you back soon! Sawsan Chebli with GSBTB Director Lucy and Project Manager Friedemann. 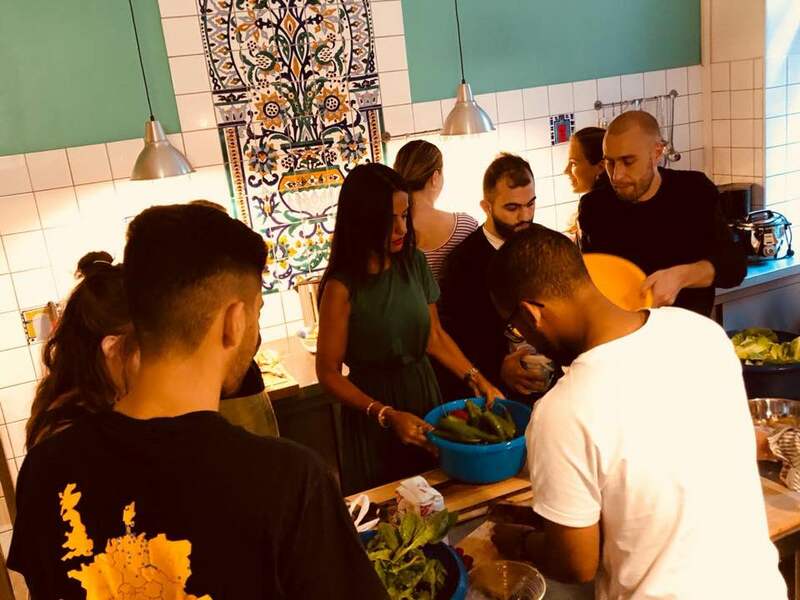 Sawsan working with volunteers in the kitchen space. Sawsan with Lucy and GSBTB intern Kinan.